Formed in Australia’s capital Canberra, Peking Duk are an electronic music duo made up of disc jockeys and music producers Adam Hyde and Reuben Styles, formerly of Rubycon. Armed with a string of platinum-minted singles, such as 'High', 'Take Me Over', 'Say My Name', and the Elliphant featuring 'Stranger', the Clowntown tour saw Peking Duk’s epic audio-visual spectacular descend upon the sold out Enmore Theatre. Having just returned from successfully headlining festivals overseas, a video message from Shane Warne opened the proceedings to herald their homecoming followed by Wu Tang’s “I like it raw”, before Peking Duk unleash their trademark mélange of house blended with bass-heavy down beats on a solid foundation of key live show ingredients, i.e. 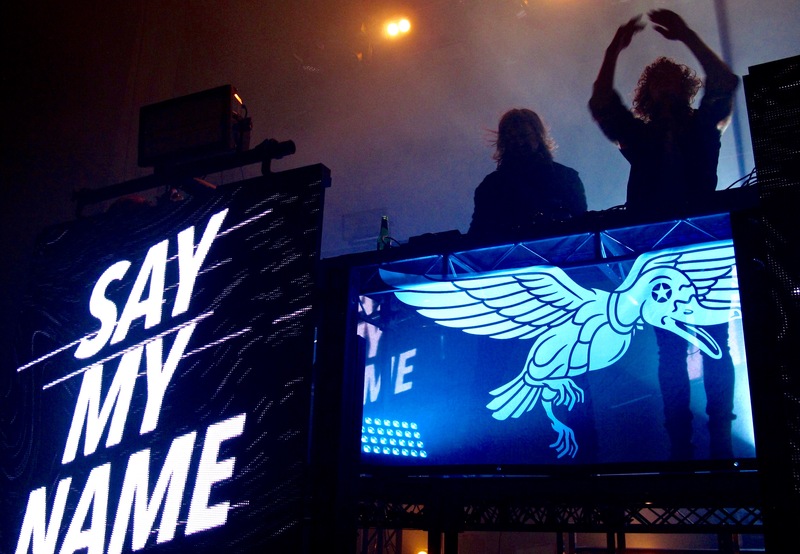 animated visuals, drops and an elaborate light show, which sees them appearing behind their DJ desks as silhouettes. What makes Peking Duk in a live environment a more enjoyable experience is the combination of their showmanship, an absence of ego and the fact that the main protagonists are busy having fun themselves, which translates seamlessly to the audience, whose enthusiastic responses fuel their antics, thereby creating a party perpetuum mobile of sorts. Peppering their set with extracts from well known, tested and tried mainstream hits and appearances of special guests Ian Ooze and Mallrat, the due works a broad field of diversity and experiments with different sounds while always keeping an eye on big hooks. Their Andrew Wk-esque crowd interaction in tandem with epic drops, textures and grooving melodies go a long way, which effortlessly elicits enthused reactions from the dazzled crowd and creates a frenzied atmosphere and rollicking good time that does not let up until the last confetti cannon and stream of smoke have been fired and the last strobe light has shut off.